Get garden inspirations and solutions! Articles, pix and tips - all culled from the first years of our monthly newsletter - The Grow-zine! If you're new to the Grow-zines, catch up on what you've missed! We don't archive the Grow-zines, but now you can read all the best stuff from past issues...a compilation you won't find anywhere else! What's in each book? TAKE A PEEK! GARDEN IDEAS - Inspirations for your landscape, for starting new gardens or refurbishing existing beds. FAQs - Questions from visitors to South-Florida-Plant-Guide.com, answered in the Grow-zines. Can I Cut Back my Areca Palms? How Fast will a Moderate Grower Grow? I read through your new book twice and let me just say that it is a fantastic, jam-packed guide filled with great information, helpful tips and artistic ideas…bravo, Chase! -- Jessica B. "Lots of helpful facts and exciting ideas! I would've spent hours and hours online to find out all this information - and then wonder if it's reliable! I feel I can trust what I learn from you." --Jeff S.
LANDSCAPING TIPS - Design techniques & ideas from past Grow-zines. PROBLEM SOLVERS - Ways to make your plants prettier & healthier and solutions to make you happier with your landscaping. Landscaping with House Color - what colors should you use to landscape? What to do when one palm trunk dies? "I want to let you know how much I enjoyed reading your ebook. Learning which colors would compliment the paint on the exterior of the house was an immense help. This book was very informative. Thank you so much for such a valuable tool for those of us in Florida!" --Lori D.
Add to your 'library" of knowledge - download today! SET OF ALL 3 BOOKS! ...and get this one FREE! A unique collection of unusual, rare or uncommon plants highlighted over the years in the Grow-zines! 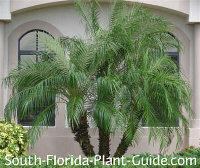 These plants are not covered on South-Florida-Plant-Guide.com - but you can learn about them here! 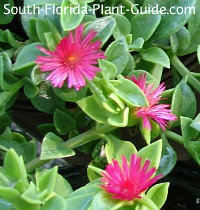 It's a mini South-Florida-Plant-Guide of lesser known plants and forgotten favorites! ...always on the lookout for something to add sparkle and beauty to your landscape? ...want to ID a plant that's caught your eye - but you don't know what it is? Your answers may be right here! "What's That Plant?" 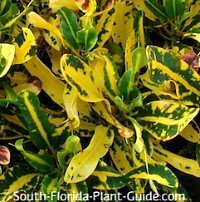 covers unusual & uncommon South Florida plants - PLUS - plant groups and families with varieties you may not know. ...when you order both "Best of the Grow-zines" ebooks! "What's That Plant is full of useful information & beautiful photos on all kinds of unique plants." --Helen S.
"A gem of a book! I like that you mention where I might find each plant if I want one for my garden." 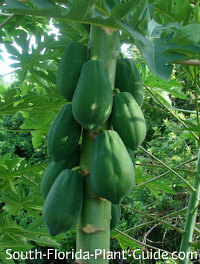 --Mary H.
Learn about some of South Florida's most fascinating plants - and how to grow them! ...or blossoms that look like little blue butterflies!